Which Video Game Features A Boss Who Mocks Your Real Life Video Game Preferences? What Is The Oldest Electrical Coding System Still In Use? Metal Gear Solid: The Twin Snakes was a remake of the game Metal Gear Solid, released for the Nintendo GameCube in 2004. 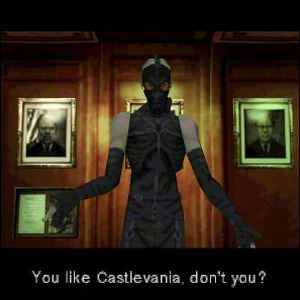 During the game when you confront Psycho Mantis, one of the game’s bosses, he lectures (in typical villain fashion) about how well he understands you, how he has studied your every move, etc.